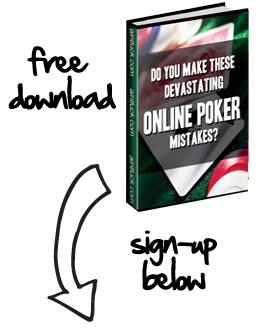 What do you do with all of those VIP points you earn from poker sites? Well one of the most popular uses for VIP points is to buy merchandise from online poker stores. And what’s great about doing this is that some of the merchandise includes iPods, video game consoles, jewelry, poker accessories and more. With all that’s at stake here, it’s definitely worth taking a look at the poker sites that have the best stores. Full Tilt has long had the best poker store due to all of the different ways you can spend your points. The store includes hats, jackets, sunglasses, t-shirts, jerseys, footballs, LCD TV’s, digital cameras, iPods, speakers and Blackberry’s. And while all of this is great, what really separates Full Tilt Poker from the rest is some of the luxury items that they offer. You can buy a Lexus, BMW, Mini Cooper or Harley Davidson motorcycle with Full Tilt Points. Carbon Poker also has a nice selection of merchandise at their VIP Store including iPods, computers, video game consoles, poker tables, chip sets, luxury watches, luggage bags, golf clubs and land-based poker tournament seats. Some of the more interesting items you can purchase at the Carbon VIP Store include scuba gear, BBQ equipment and artwork. The Gold Chips you earn at Cake Poker are just as good as gold in their Cake Shop. Some of the items you can purchase from the Cake Shop include hats, sweaters, jackets, iPods, iTunes gift certificates and dirt bikes. Cake Poker even lives up to its name by offering players Junior’s Devil’s Food Cheesecake as a reward. Although PokerStars doesn’t offer as much variety as some of the other online poker stores, they do have a nice electronics and poker books section. They offer every major video game console such as PS3, PSP, Nintendo Wii’s, several different iPods, over a dozen different TV options and portable DVD players. They also offer 40 poker books in their books section.